1/2 pkt spaghetti or as required. Dice tomato into small cubes. Pour oil into sauce pot and saute onions and garlic. Add diced tomato along with any juice to the pot n stir. Boil salted water in a frying pan n bring to a boil. Add the spaghetti carefully into the pot and let it boil until al dente. 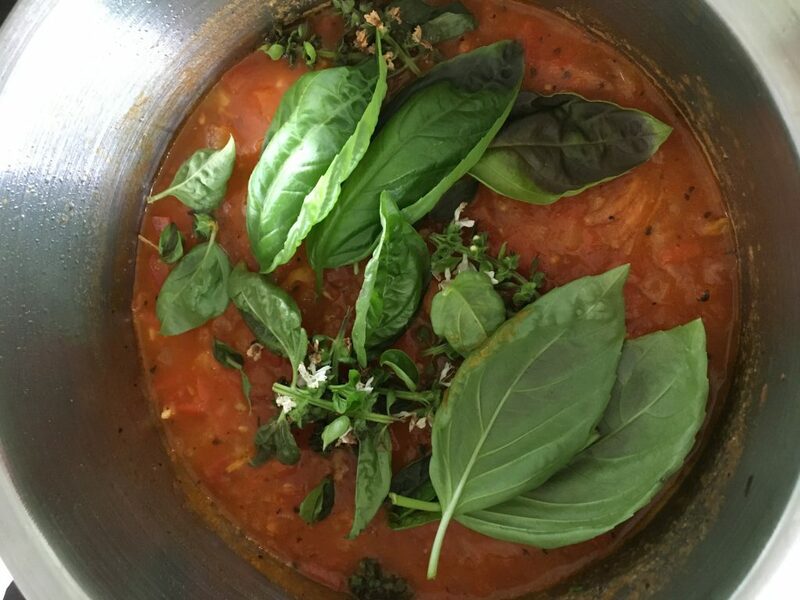 Once the tomato is well cooked to a pulp add all flavor ingredients and stir and check for sweetness. Correct the seasoning. Once the spaghetti is cooked remove it with tongs into a bowl with a little of remaining water. Save any left over water in the pan. Add this to the sauce to improve its thickness. 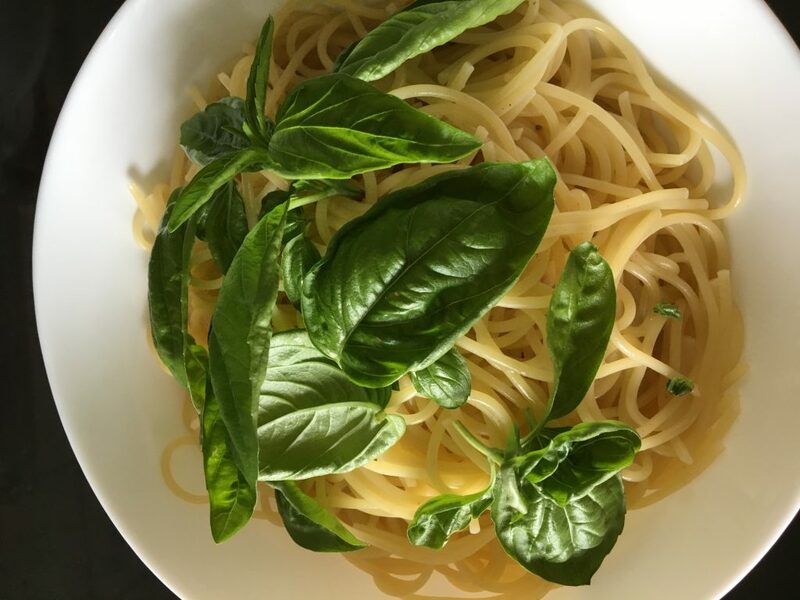 Garnish both the sauce and the spaghetti with fresh sprigs and leaves of Basil and serve. The colours resemble the Italian flag???? Serve the spaghetti on to a plate and pour the thick sauce over the top . When eating mix the spaghetti with the sauce twist the spaghetti around a fork, on spoon and eat the twirl of sauce drenched spaghetti off the spoon?